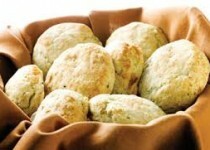 "These tender potato biscuits are great to use up those leftover mashed potatoes! We like them for breakfast, lunch or dinner and great to serve with soup!" Baking Powder - 2 Tbsp. In a medium bowl, stir together the flour, baking powder, salt and sugar. Cut in butter, until pieces of butter are no larger than peas. Use a fork to stir in mashed potatoes, breaking them up into chunks. Make a well in the mixture, pour in egg, water and milk. Stir into a loose dough using the fork. Turn dough out onto a floured surface, knead for 6 or 8 times so the dough holds together. Pat the dough out to about 3/4 inch thickness, cut into circles with a biscuit cutter or drinking glass. 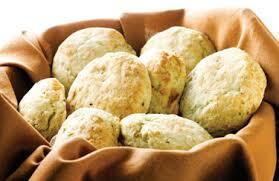 Place biscuits onto an ungreased baking sheet. Brush the tops with 2 tablespoons milk. Bake for 15 to 20 minutes in the preheated oven, or until bottoms are golden.